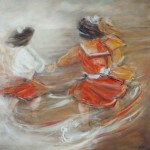 Béatrice Cols paints light , colour and movement . 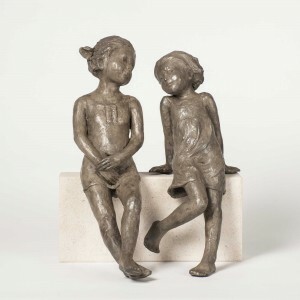 Her genuine and personal woman’s touches grasp the gentle fugacious instants of the happy days so that her work pays a tribute to Birth , Childhood and Life , reflecting strength combined with sweetness. Béatrice starts exploring this artistic expression – quite new for her – where again her predilection for the child and the young woman stands out!